By focusing on one member of the Donner party, the author makes one of the most mysterious episodes in American history come to life. Written in verse, the story comes across well as the voice of the real nineteen-year-old traveler. Mary Ann’s father decided to move the family from Illinois to California in 1846, just as the gold rush and the Mexican-American War were beginning. They set out with husband and wife, nine children, a son-in-law, and a hired hand. Seemingly, they planned well and took along sufficient supplies. It was a few mistakes, the decisions of others on the trail, and the very early winter that proved to be the party’s downfall. Due to the unusually harsh nature of the story, this book is not recommended for younger children. However, the reality of the situation and learning about the fragility of life can be important for young adults. The author takes a matter-of-fact attitude and is open about the natural revulsion present in the cannibalism that did occur. 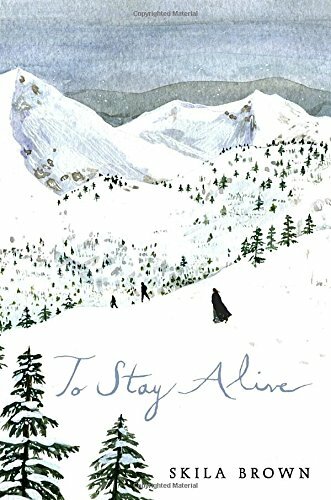 Most of the story is about the long, long journey prior to the great snowstorm, with the heat of the desert and lack of water, plus many other factors. 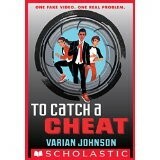 Hacking and technology geeks get the upper hand over classic classroom cheats in this fun, Encyclopedia Brown type novel. Jackson Greene, hero of book one, The Great Greene Heist, returns with his diverse gang that meets in an old shed to plan their projects. A couple of the gang are super tech savvy, while Jackson remains the leader and master mind. They use invisible ink, tricky watches and new light bulbs to bring about interesting results. A couple of classic bullies have produced a phony video of Jackson and his team, causing mayhem and a flood at the school when they were nowhere near the stopped up toilets. In order to clear their names, Jackson sets up an elaborate plan seeming to go along with the bullies in stealing a final exam. There are twists and turns today’s middle grade readers will enjoy as they understand the video systems and computer gadgets at work. This series looks ready to gain a big following. Teachers and librarians will want to introduce this series to the techno geeks as well as the readers in their middle school. It is fast paced with well-developed characters. 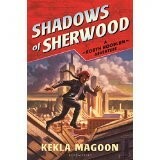 It would make a great book club read, or a fun read aloud for a small group of reluctant readers. English teachers can use it to satisfy literacy standards in the common core in many areas, including: characterization, setting, dialogue, and main idea. But the students will love the revenge, the planning, and maybe even all the start trek movie references. Need a summer job? Twelve year old Missy and her older brother Patrick did. They saw an ad in the newspaper for kids to pick blueberries. After talking Mom into it, they got started on the new job. It was harder than they expected. The days were long and hot. 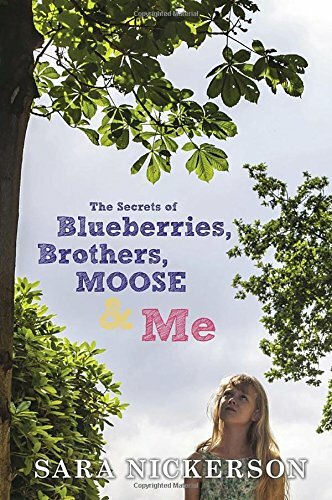 Not all of the other kids were friendly, and then there was the mystery feud between the owner of the blueberry patch and his brother. Parallel plots including the divorce of Missy’s parents, her father’s new girlfriend, and her Mom’s depression are all factors bringing tension into the story. Then when Missy gets a chance to hang out with her school friends near the end of summer, she gets the feeling they are outgrowing her friendship as middle school looms in front of them. Exceptionally well written, this book is hard to put down. Librarians and teachers aware of twelve year old girls uncomfortable with a parent’s second marriage or with heading into middle school might recommend this book. It is also funny at all the right places. And the mystery of the blueberry farm? Oh yeah, that gets solved, too. A really good book. Riding on the back of a griffin flying over ancient Rome, Nic escapes only to fight again. Without knowing it, the first time Nic saw, Caela, the griffin, deep in the gold mines, it scratched his back leaving the mark of the Divine Star. It gives Nic the powers of Diana, one being his ability to talk to animals. Magic travels through that mark, but even more magic strengthens Nic through the bulla of Julius Caesar that he found and kept for himself. 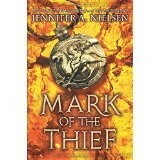 This is the first in a new series by the New York Times Bestselling author, Jennifer A. Nielsen. Ancient Rome comes alive through its treatment of slaves in the mines to its treatment of the animals being put to death for entertainment in the arena. There are factions of senators trying to overtake the emperor and sometimes it all becomes quite entangled, just as it does in real life. The poorest of the poor hide Nic in underground water tunnels to keep him safe from those chasing him. They want his power, his bulla and the precious jewels hidden within it. But at the end of book one, the last laugh belongs to Nic. Except, of course, that it isn’t really the last laugh as even he realizes his battle has just begun. Fifth grade readers, sixth grade readers and those beyond will strengthen their literacy skills while also finding out what ancient Roman life and government was like. History standards can be met by discovering and discussing this new knowledge. It is an exciting new series. Many teachers, librarians and parents will be looking forward to the publication of book #2. Have you ever heard of the steamboat, Sultana? No? Well then it might surprise you to find out when it exploded and sank on the Ohio River in 1865, more people died than died on the Titantic. 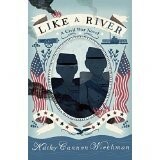 Kathy Cannon Wiechman has done excellent research into this mostly unknown event of the Civil War. In like manner she has studied the Andersonville prison daily life. Her ability to take the findings of her studies and turn it all into a compelling story is commending. Her main characters are well developed and face authentic problems of the day. The tension begins early and draws the reader in quickly, keeping them focused and always wanting to continue to read that one more chapter. Grade five and grade six students will become enthralled with this story and look for others like it. Teachers and librarians can use the text to fulfill core curriculum standards in the areas of literacy, American history, historical fiction, character development, comparison of fiction and nonfiction as well as the effects of war. If I said this is Dracula meets Susan B. Anthony, would it sound weird? Maybe, but Cat Winters makes it work. 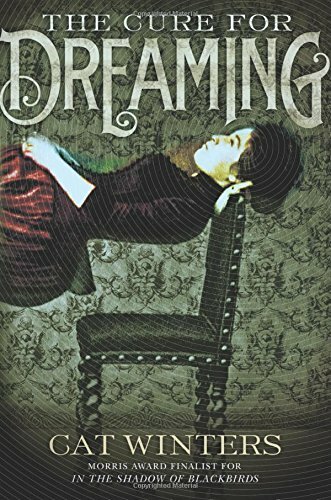 There is enough of Bram Stoker’s opus to pique the reader’s interest without giving away the entire story or being overly graphic. There is enough of women’s rights without being preachy. All the while, the author weaves in hypnotism and the power of words. In 1900 Portland, Oregon, Olivia Mead turns seventeen only to have her father panic about her independence and strong mind. She attends a show by a hypnotist, Henri Reverie and becomes his main subject, unwittingly allowing him to turn her into a board that gets walked on. Her father decides Henri can make Olivia a more demure, subservient woman. The result is she sees monsters and can’t fight back, even in the face of real danger. She attributes this in part to her love of Dracula, but maybe there really are monsters. Meanwhile, the father of her suitor writes an editorial about why women don’t need the right to vote. Olivia anonymously submits a letter to the editor refuting all his claims. When the letter gets published, a firestorm results. Her own father thinks a man wrote the letter because it was too well written. Everything goes from bad to worse as Olivia and Henri get to know each other and plot to work things out. In the end, Olivia’s father pushes so hard, she is forced to find her voice (literally) and declare her independence. Sixth grade readers will learn about Bram Stoker, life in 1900, women’s rights, and mesmerism. Pittsburgh, 1952. Recovering from polio, Franny Katzenback listens to the sounds of her friends playing outside as she lies in bed and wishes her legs would move. With only books for comfort, she falls in love with the newly published Charlotte’s Web. If only she had a Charlotte in her life, she thinks. Her wish comes true when she receives a mysterious letter written in blood-red ink. 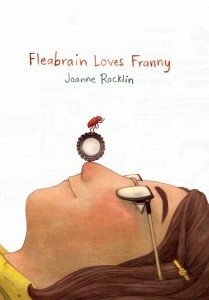 The author happens to be a highly intelligent flea named Fleabrain, who lives on her dog’s tail. The two strike up a correspondence. Fleabrain shares with Franny a love of literature as well as music and languages. Not only can he talk, but his saliva contains superpowers, which allow him to take Franny on all kinds of fantastical adventures based on his extensive reading. He flies her around at night on a magical horseback ride, he miniaturizes her á la Alice in Wonderland, and he zooms her around the globe to tour the Seven Wonders of the World. Their relationship strains, however, when she learns he cannot use his powers to cure her of polio. Issues of social injustice are touched upon when Franny faces discrimination upon her return to school. Sixth graders will likely find the historical elements of this story interesting as it paints a solid picture of the polio scare during the 1950’s and what it was like to be on the receiving end of that terrible disease. While there certainly is enough advanced vocabulary and thematic elements to enhance one’s comprehension and literacy skills, the overreaching plot and fantastical elements may leave readers scratching their heads just like the poor dog who hosts Fleabrain. War, as seen from the eyes of 10, 13 and 15 year olds is quite different from that of adults. In this carefully researched historical fiction we find that many children being sent away to Canada from England on a large cruise ship see it as an adventure. This startling tale is about a time when England was so sure it would fall to the Nazis that a plan was established to send away a whole generation of children. Some would be sent, supposedly, to Canada. Others would go to Australia or New Zealand. The alarming rate of bombing in London caused parents to make very fast decisions under duress. Children were sent away with only a change of clothes and, if lucky, one packed lunch. 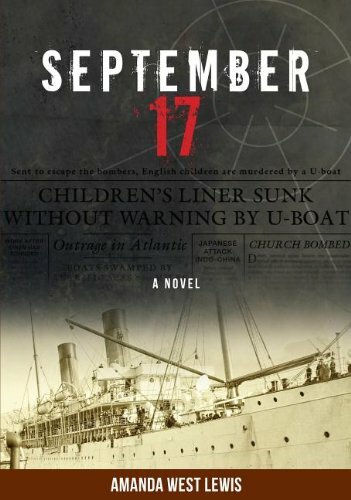 Unfortunately, the title of the book is the date that one such ship carrying a group of over 90 children was torpedoed and sunk by the Nazi U-boat. There were survivors, but very few. Perhaps the most breathtaking part of the story is the several days that one group of children spent in a tiny lifeboat dreaming of survival. One of the things that still kept the children going was their thought of having an adventure at sea with real sailors. Core curriculum standards for history, geography and literacy skills can be met for grade 6 readers and beyond whether the book is used in a classroom, library or book club setting. 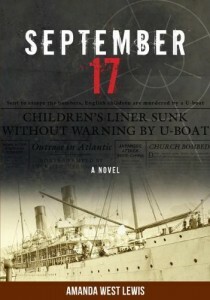 It is history we have not read before and it is provided in a fascinating narrative style that puts the reader right in that scary frigid water. 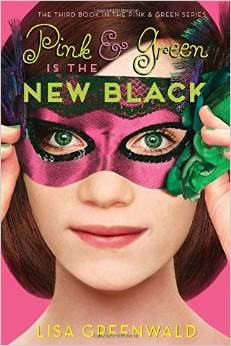 13-year-old Lucy Desberg is back in the third book of the Pink & Green series, and, on the outside, things couldn’t be better. Her initiative to have the school cafeteria go green is a success, her family’s pharmacy and spa are thriving, and she has a boyfriend in high school. What she’s not telling everyone, however, is that Yamir hasn’t called or texted her in weeks, and she has no idea why. To take her mind off him, she and her best friend, Sunny (Yamir’s sister), agree to help plan the upcoming school dance, the Eighth-Grade Masquerade, even though mean-girl Erica Crane is in charge. At least Erica has been acting like a normal human being lately, but Lucy wonders if that will last. Like everything else she does, Lucy puts her heart and soul into making the masquerade perfect. She offers to do everyone’s makeup at the spa and works hard to make sure all her friends have dates. But as hard as she tries to ignore the Yamir problem, the more frustrated she becomes. To make matters more complicated, a cute boy named Travis, who’s new to the school, shows interest in her. Lucy puts on a happy face and pretends like she can handle it all, but it doesn’t take long until the cracks in her armor begin to show. In this coming-of-age novel, Greenwald creates a realistic depiction of middle school girl drama, where saving face and fitting in sometimes makes it challenging to do the right thing. Sixth graders will identify with winsome Lucy and her friends as they navigate the turbulent waters of balancing friends, crushes, family and school.